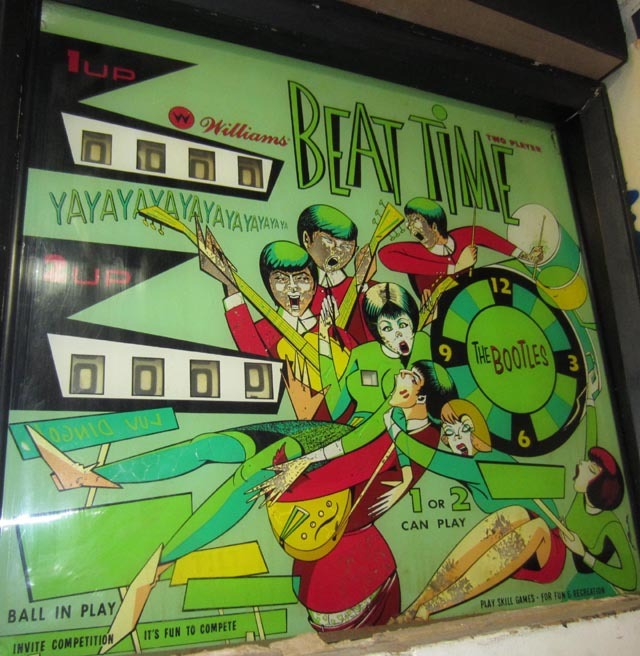 Here’s the original Beat Time glass that we restored, as shoot by the owner of the game. You can see significant flaking in the Bootles’ faces. Also the girl’s legs at the bottom right were badly flaked too. Here’s the front side of the restored Bootles Beat Time. 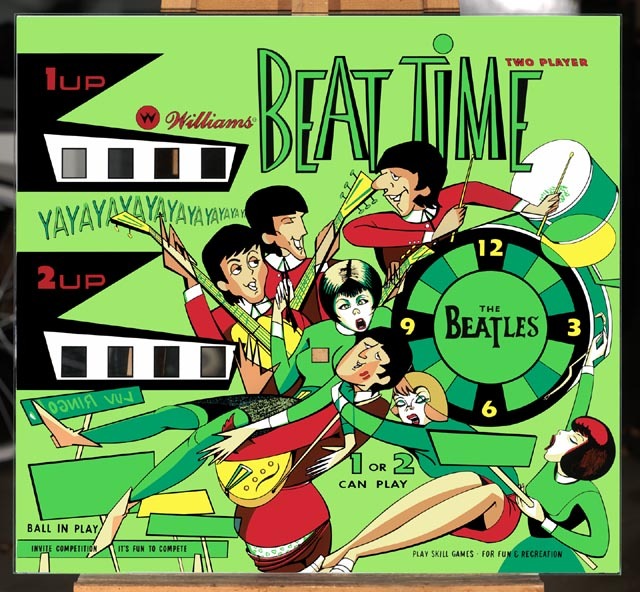 Here’s the artwork conversion from “the Bootles” to “the Beatles.” When Herb Silves did this he changed the background colors to a light blue instead of green – we kept the original colors for our version. 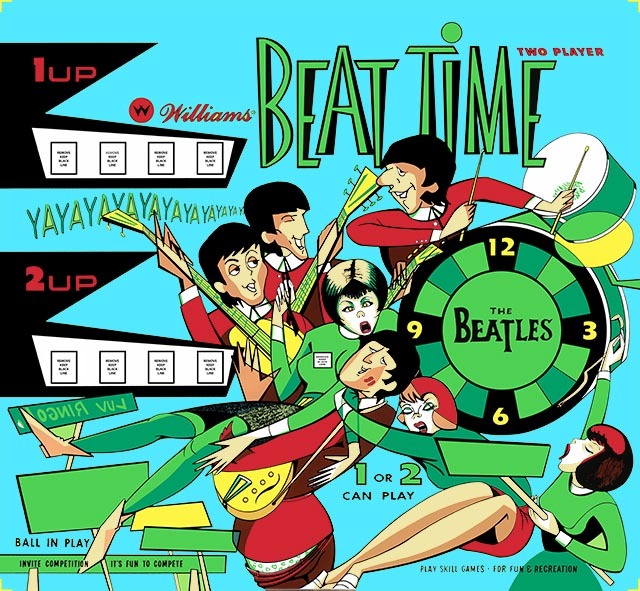 Note we’re not convinced the Beatles conversion was the right thing to do – the mix of Jerry Kelley artwork with the cartoon artwork is a bit bizarre, but hey it was fun doing it!